Jolly LLB 2 box office collection day 1: Akshay Kumar film has already earned Rs 45 crore from the sales of satellite, music and digital rights of the film. 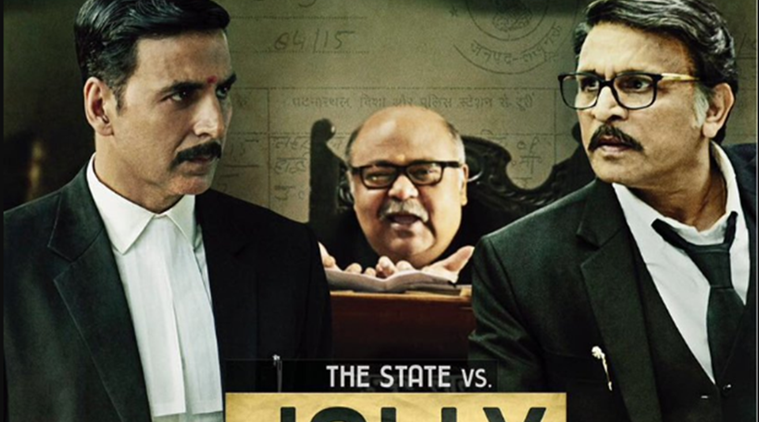 Jolly LLB 2 box office collection day 1: Akshay Kumar film was made on a budget of Rs 45 crores including –Rs 30 crore for Cost of Production and Rs 15 crore on P&A (promotions and advertisement). The rare on-screen teaming up of Akshay Kumar, Annu Kapoor and Saurabh Shukla was surely going to be a unique concoction of laughter and drama. And as the reviews are still pouring in, a unanimous positive word of mouth seems to be building around Akshay Kumar’s film. Trade Analyst Taran Adarsh observed, “Akshay Kumar’s winning streak will continue with #JollyLLB2… Extremely positive reports pouring in… Should hit the bull’s eye.” Jolly LLB 2 has already recovered its cost, according to trade analyst Joginder Tuteja. The film was made on a budget of Rs 45 crores including –Rs 30 crore for Cost of Production and Rs 15 crore on P&A (promotions and advertisement). Jolly LLB 2 has already earned Rs 45 crore from the sales of satellite, music and digital rights of the film.This implies that Akshay Kumar movie will start earning profits from day 1. Akshay Kumar has always maintained that he completes a movie in 40-45 days, which turns out be beneficial for producer and the entire film unit. The completion of the film within a tight schedule and budget eventually benefits the entire film. The actor completed this movie in 33 days. In comparison, several Bollywood movies starring huge stars can take around one to two years for completion. While the cost of a Khan film is around Rs 80-100 crore, Akshay’s films are made at half the budget. The actor’s 2016 films – Airlift, Rustom and Housefull 3–reflect a versatility. Unlike Khans, Akshay has been more inclined to play a ‘common man’ and doing more ‘event-based’ films. Airlift, Baby and Rustom are a few examples of films being inspired by real events. His movies of late also have some elements of patriotism and loyalty. His star power, coupled with great stories, have propelled Akshay as one of the most commercial viable actors in Bollywood today. As reported by Forbes, Akshay’s 2016 releases — Airlift, Rustom and Housefull 3 — collected a whopping amount of $19.4 million, $19.1 million and $16.3 million respectively.